A small corner of downtown San Francisco now boasts of foliage density that rivals the rain forest! A new vertical garden by Plans on Walls makes a bold green statement, while offering workers a contemplative spot of nature. 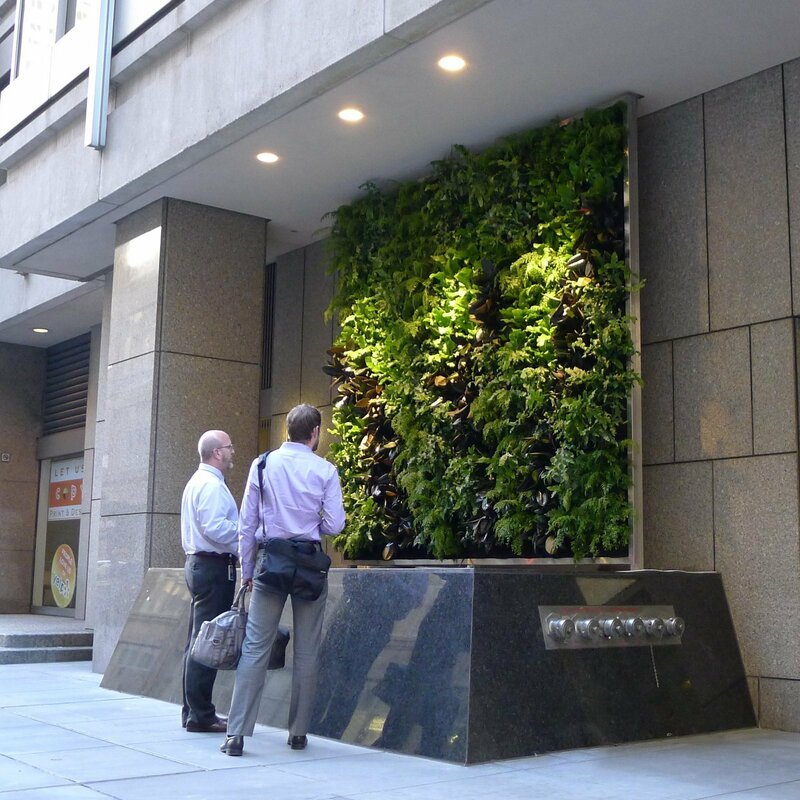 Among the industrial architecture of daily office life, this vertical garden brings not only calm repose of the mind, but a surprising shot of organic vitality, thanks to the forward-thinking vision of CBRE for its new entrance. 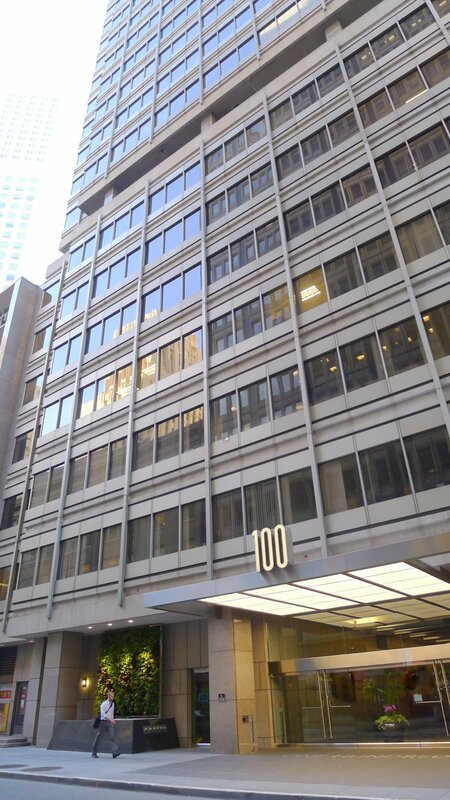 Its beauty is available to everyone at 100 Pine Street in San Francisco. Chris Bribach, Plants On Walls. CBRE Office Towers, San Francisco. Florafelt System.